Small to Medium Enterprises will invest, innovate and create new jobs as demand for Energiesprong retrofits grows. This is the message from two early phase solution providers, Melius Homes in the UK and Operene in France. The excitement all started when Operene and Melius Homes team members were invited to Energiesprong site visits in the Netherlands. Seeing social housing refurbished to net zero energy levels, they were inspired to seek similar solutions tailored to their own markets. Melius Homes and Operene both take pride in delivering high performance retrofits for social housing providers. These are small, agile teams, with a passion. Both have adopted an Energiesprong-style energy performance guarantee as part of their holistic retrofit offer. Melius Homes delivered the first award-winning Energiesprong pilot in the UK in late 2017, refurbishing 10 hard to heat homes in Nottingham to make them near net zero energy. Meanwhile, Operene attracted government innovation funding to optimise retrofit solutions for France. Setting up a factory will enable Melius Homes to industrialise, improve performance and drive down costs. Panels will pre-fabricated to the exact size with laser precision, then delivered to site and craned into position for easy fixing, allowing fast installation by fewer on-site workers. Automated cutting will increase the volume and speed of delivery and reduce on-site waste. A highly skilled workforce will be needed to support this more bespoke, more scalable service, including designers, engineers, technical workers and management. Melius Homes plans to recruit between 15 and 25 people. These are jobs that will be particularly welcome in Nottingham where the unemployment rate is more than 3% higher than the UK national average of 4%. 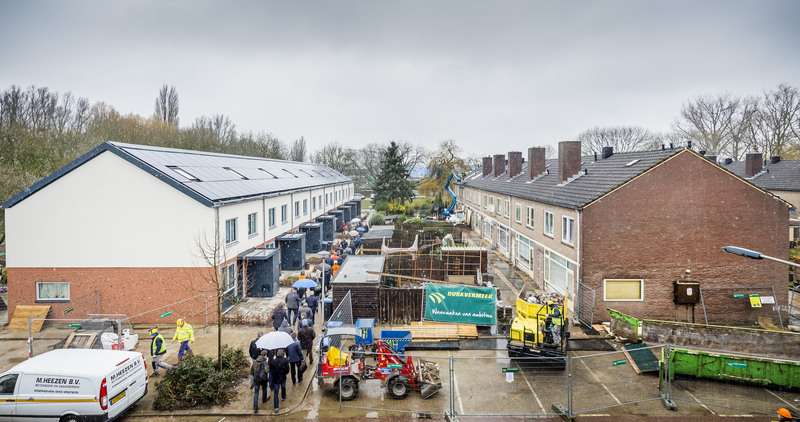 One of Vigneron’s observations of big construction companies is that they may be tempted to deliver a ‘cut and paste’ version of a Dutch retrofit, rather than a tailored solution for the local market. This is where Operene’s network of SMEs will come into their own. Each brings a specialism such as insulated facades, windows, low carbon heating solutions or ventilation. They will work together to develop integrated retrofit solutions more suitable for France. When the French team saw Energiesprong retrofits in the Netherlands they immediately saw that these would need to be adapted for France. 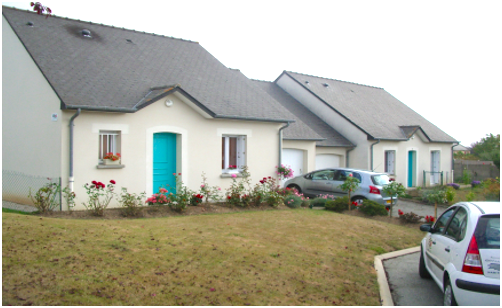 For example, building regulations would not allow polyurethane foam insulation around windows in France. Anticipating higher environmental standards, the embodied energy in materials is also a concern the French team felt should be taken into account. Operene subsequently came up with their Energiesprong-inspired R&D project called ES’OPE. This will be 50/50 funded by ADEME and the companies involved in the project – Chanel Sas, Enertech, Eolya, IRFTS, Lorillard, Operene and Rosaz Energies. ES’OPE will allow new retrofit solutions to be prototyped and tested in the research laboratories of the CEA, then deployed and monitored once in place. The participants will explore light, durable, sustainable products and techniques and will also take into account the whole-life cost of materials including embodied energy. The final phase will involve on-site testing with social housing providers. 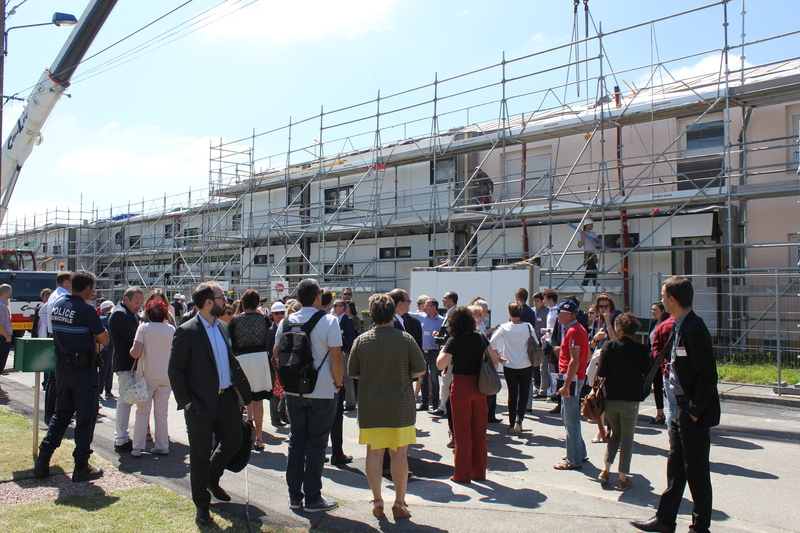 The plan is to retrofit a mix of individual homes and apartment blocks using the solutions most suitable for rollout across France. Hugo Vigneron sees government R&D funding creating space to develop and test the best solutions before taking them to market. ES’OPE gives Operene until 2022 to develop their solutions together with its network of six specialised construction firms. Bespoke products are needed and now Operene, like Melius Homes is looking to develop and provide these.